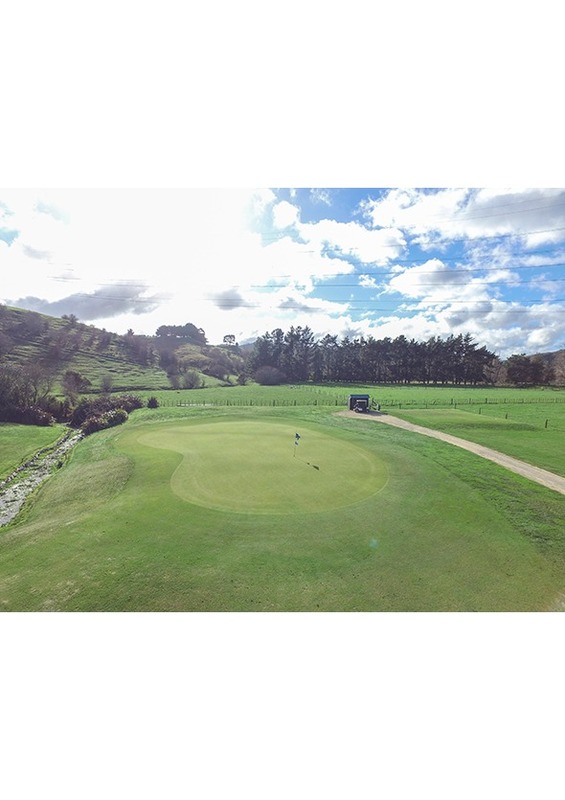 A tight hole, select a club that will land you in the fairway. 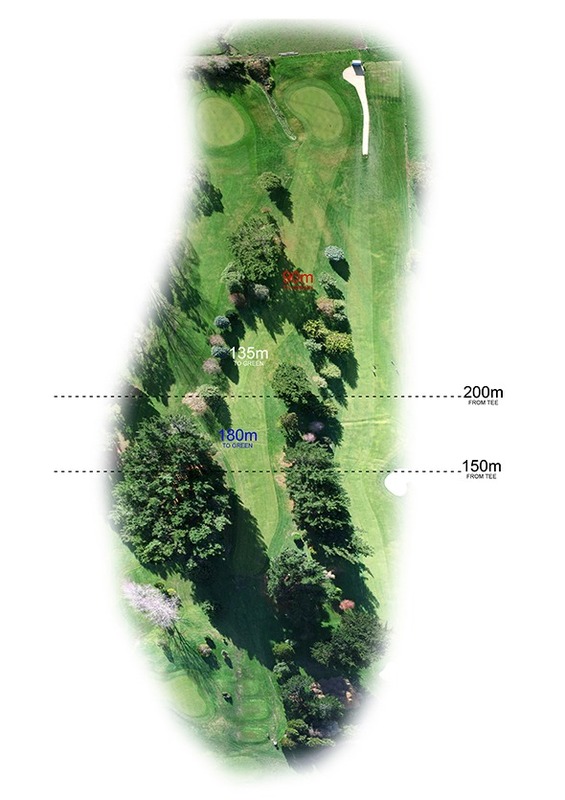 Dogleg right around the Macocarper tree to a large two teir green. Beware of the creek just to the left of the green. Action Civil Limited (Action) is a locally owned Civil and Drainage contracting company that has been operating from the Whitby area since 1990. Action has an excellent reputation for superior workmanship, customer satisfaction, successful stakeholder engagement and can mobilise crews to undertake a variety of work anywhere in the region. Action has capacity to be the lead contractor on the job or to subcontract for specific projects as required. 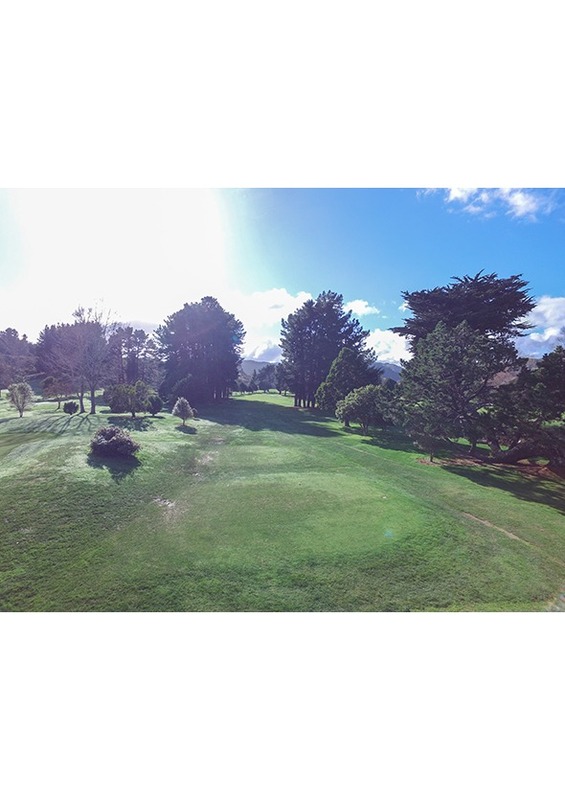 This is possible due to having a strong project management team that consists of a Contract Manager, Site Engineer and Health and Safety Manager that oversee each project from initial tender phase, throughout the construction of the project, through to the evaluation at project completion. Action prides itself on having work crews with diverse skill sets. We have the capacity to switch between tasks as required enabling the company to undertake the broad range of work they deliver, while having the experienced and qualified staff on site to ensure the quality of the finished product is of a high standard. 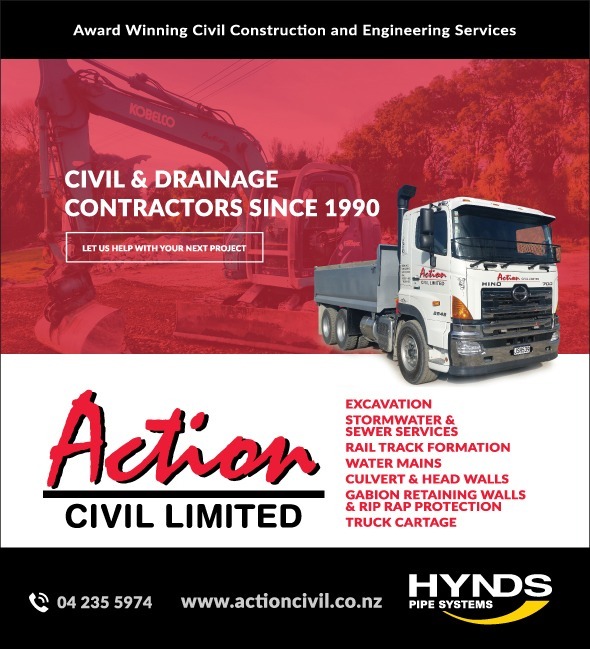 As members of Civil Contractors New Zealand (CCNZ), Action is very proud to hold several industry awards for civil construction projects they have led. These awards range from a Load Lift Image Award to a Merit award for works undertaken in the Wellington Rail yard, to a recent win in the Regional awards as the Category C winner for Projects over $1.5 million.